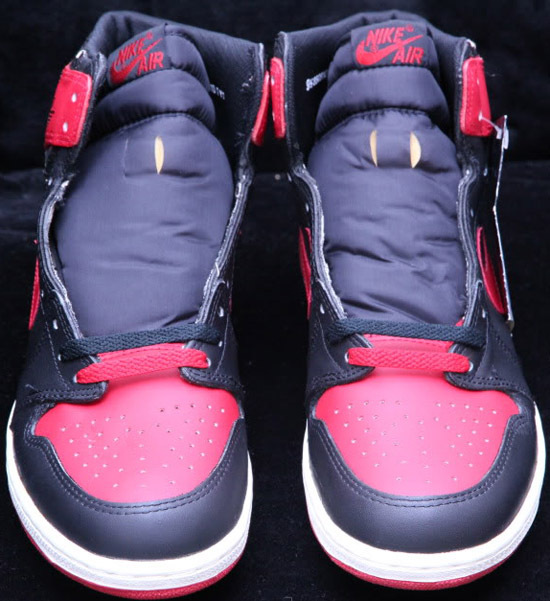 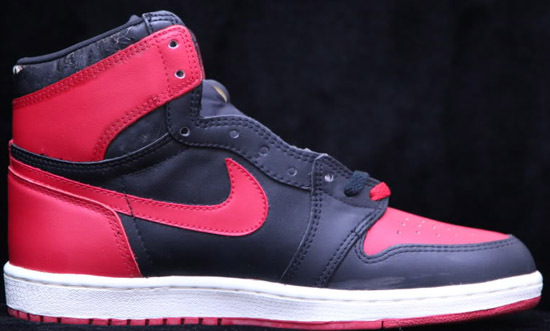 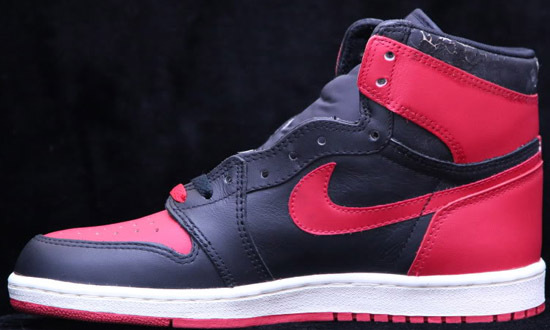 The elusive original Nike Air Jordan I in the classic black and red colorway. 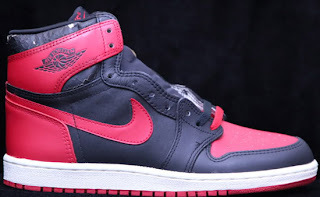 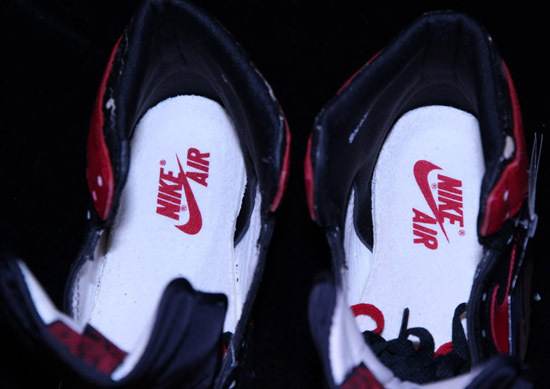 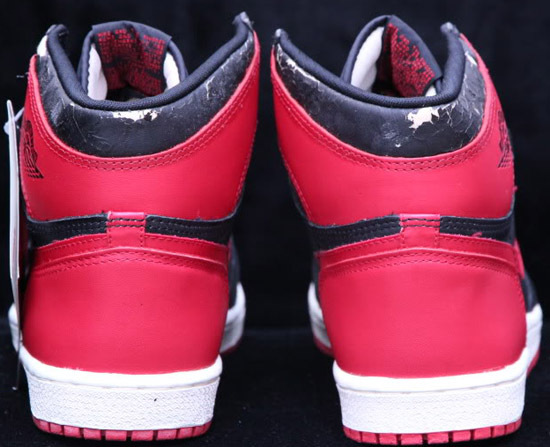 Still on of the most sought after sneakers, check out the auction here. 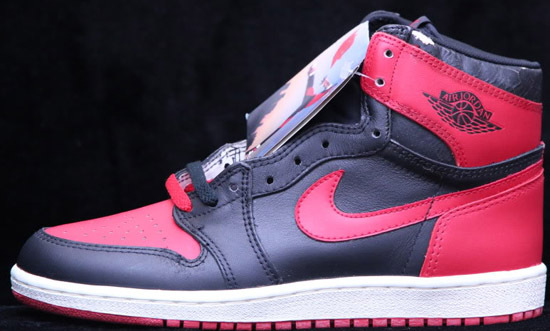 Originally released in 1985, this is the infamous colorway that was Banned by the NBA due to its color restrictions at the time. Coming in a black and red colorway to match the Chicago Bulls team colors. 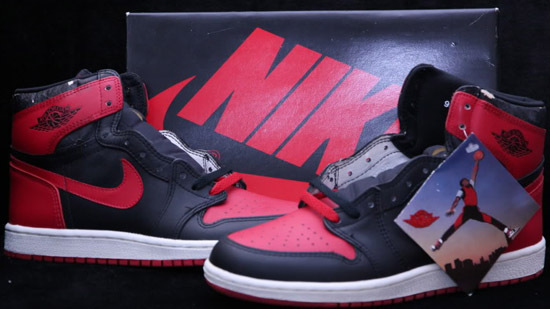 While they have been retroed a few times, the original 1985 release is still very sought after. 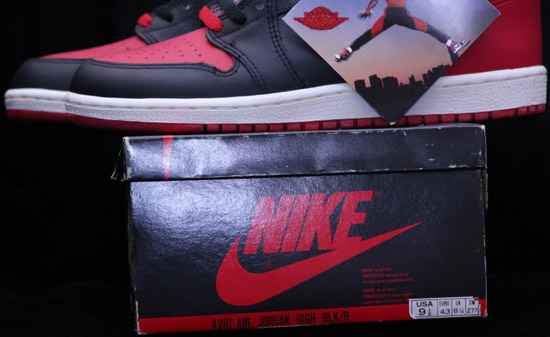 Especially in deadstock condition with hang tag and their original box.